Technology reflects and shapes human history. 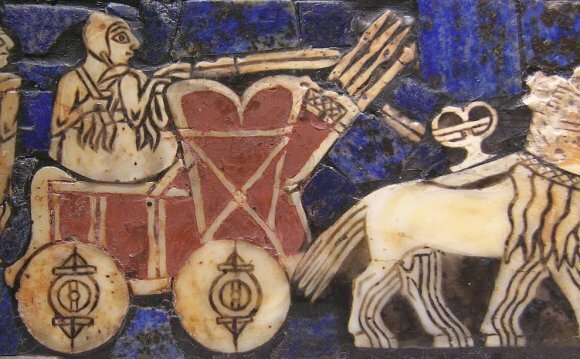 From the establishment of neolithic farming and food-storage techniques to the development of metallurgy, weaving, printing, and electronics, history and technology have been integral to one another. The role of the stirrup in the Middle Ages, gunpowder in the thirteenth century, printing in the fifteenth, the steam engine in the eighteenth, factories in the nineteenth, and nuclear power in the twentieth are all subjects of an expansive scholarly literature. This literature spotlights many animated controversies about choices made among competing techniques for attaining the same end-whether automobiles would be powered by steam, electricity, or internal combustion, for example. Yet the import of technology and its mutual interactions with society and culture has often been neglected in the high school, college, and even university curricula. When teachers unfamiliar with its rich historiography do consider technology, they all too often treat it as inert or determinate, lending their authority to the fallacy that it advances according to its own internal logic. Scholarly specialists now largely agree about what is called social construction: the idea that technologies succeed or fail (or emerge at all) partly because of the political strategies employed by "actors"- individuals, groups, and organizations-that have conflicting or complementary interests in particular outcomes. Most of them also agree that success or failure is contingent on inescapable physical realities, "that the human fabric depends to a large degree on the behavior of atoms, " as the distinguished historian and metallurgist Cyril Stanley Smith put it. But there is no doubt that technological designs are shaped by ambient social and cultural factors—nor, indeed, that the shaping of technology is integral to the shaping of society and culture. This booklet series, a joint venture of the Society for the History of Technology and the American Historical Association, draws on the analytical insights of scholars who address technology in social and cultural context. Some of them are concerned primarily with the relationship of technology to labor, economics, political structure, or the organization of production; sometimes their concern is with the role that technology plays in differentiating social status and the construction of gender; sometimes it is with interpretive flexibility- the perception that determinations about whether a technology "works" are contingent on the expectations, needs, and ideology of those who interact with it. Following from this is the understanding that technology is not intrinsically useful or even rational; capitalist ideology in particular has served to mask powerful nonutilitarian motives for technological novelty, among them kinesthetic pleasure, a sense of play, curiosity, and the exercise of ingenuity for its own sake, a phenomenon known as technological enthusiasm. As evidence of this, many inventions-from the mechanical clock during the Renaissance to the telephone and the automobile more recently-met only marginal needs at the outset. Needs with any substantial economic significance had to be contrived, thereby making invention the mother of necessity.